It’s time for our monthly Bookspiration Club! Since September 16th is National Play-doh Day, we decided on a playdough theme – be sure to check the other book-inspired activities at the end celebrating this fun day! 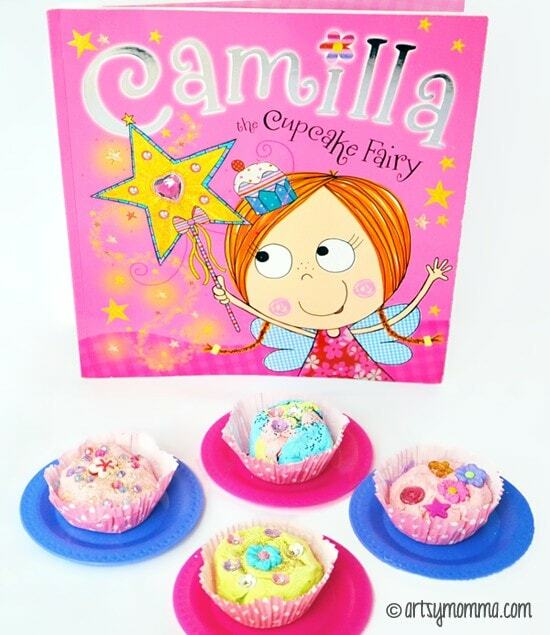 For our book pick, we chose Camilla the Cupcake Fairy and made pretty playdough cupcakes. It’s from a series I absolutely adore by Tim Bugbird. In the past, we’ve shared our love of Pippa the Pumpkin Fairy, Georgie the Gingerbread Fairy, and Izzy the Ice Cream Fairy. *This post contains Amazon referral links to the products mentioned. Please read our full disclosure policy here. Camilla the Cupcake Fairy is excited to be given her very first wand, but her lack of experience leads to alarming results! However, with perseverance and the help of her friends she finally creates the tastiest ever cupcake topping! Bottom line: It’s adorable and yes, I recommend this book! 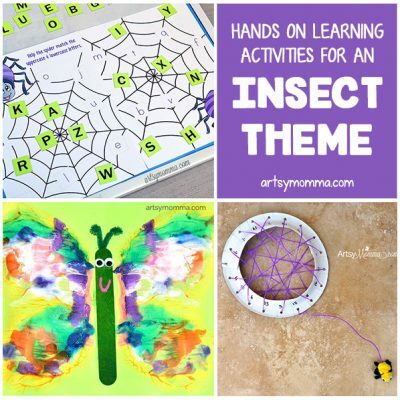 It’s great for my preschooler and is suitable for ages 4-7. 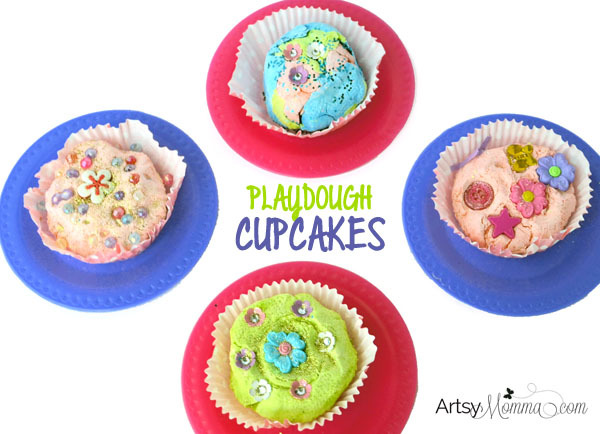 To make our playdough cupcakes, we whipped up a SUPER soft playdough recipe that only uses 2 ingredients…. 3 if you add food coloring (you can also just leave it white otherwise). I saw the recipe for the softest playdough ever over on Kids Activities Blog. 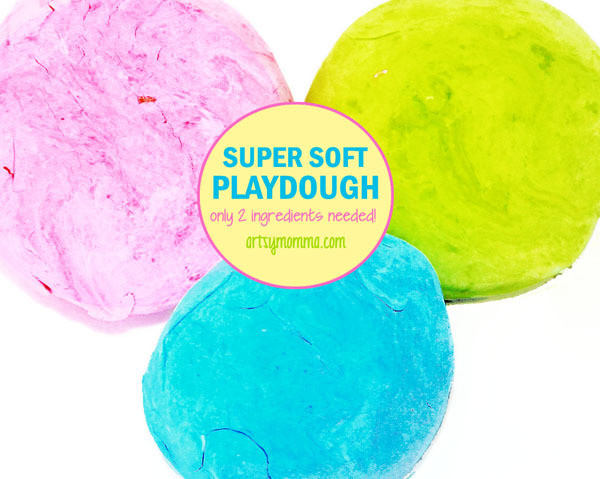 Since we already had the 2 main ingredients on hand, I thought the kids and I could check out just how soft the playdough really is! Mix 2 parts cornstarch with 1 part conditioner. You could even buy the cheap stuff at the dollar store – and a fruity smelling one would be fun! I started with 2 cups of the cornstarch and 1 cup of the conditioner. Mix it all together and when most if the loose cornstarch is mixed, knead it until it is all smooth. If it feels sticky, add a little more cornstarch. If it feels too dry, add a small drop of conditioner. When it is perfect, it won’t feel sticky or dry at all and instead will feel supper soft! I made another cup of the 2 ingredient playdough and split the other one in half so we could make 3 colors. I chose to use gloves for this part because of the food coloring (it’s fine once it’s well mixed and shouldn’t stain your hands). We made pink, bright green, and bright blue. I purchased the white tray from Dollar Tree – it’s perfect for invitations to play or invitations to create like this playdough activity! Inside the different compartments, I placed the playdough, glitter, foam flower stickers, buttons, flower embellishments, beads, jewel gems, colored Easter grass, and pink polka dot cupcake wrappers. I also got out our muffin tin so Little Sister could pretend bake her playdough cupcakes in her toy oven. 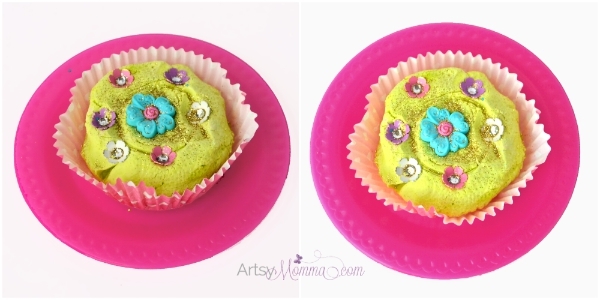 Inspired by all the cupcake-making in the book, Little Sister and I playdough cupcakes! She even made a rainbow one by using all three colors. I found it best to do it right in the muffin tin because when Little Sister made it without using it, her cupcake wrapper got bent out of shape and didn’t look nice. She pretended to bake them in the oven and then we decorated them with all our crafty embellishments! 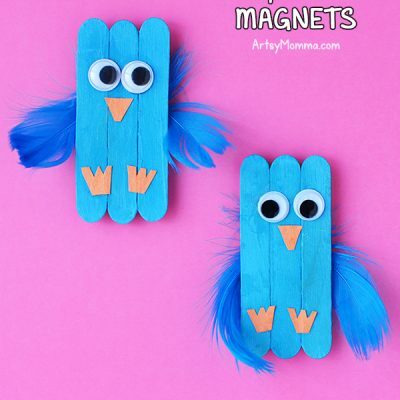 When they were finished, she served them on toy plates – too cute! Save the super soft playdough in an air-tight container to play with again the next day (or week!). We used the playdough with another activity first, 5 days before this one. While the playdough was still soft when we began to play with it this time, after 30 minutes I ended up adding a small drop of conditioner to each of the colors. 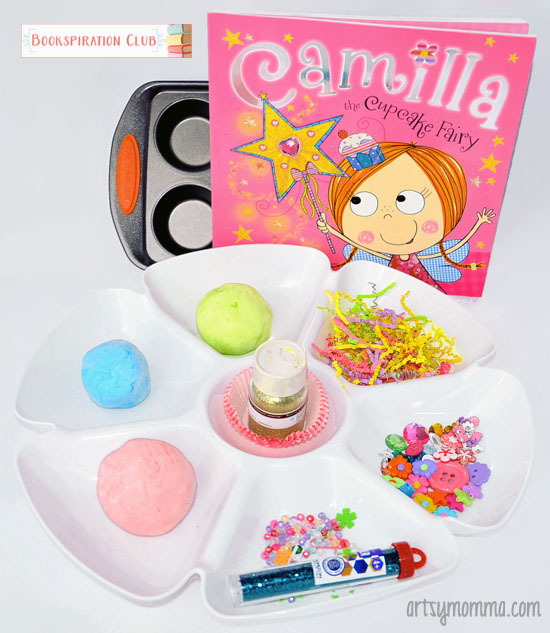 This month’s theme is Playdough! Coming up next is spiders (first Monday in October). Be sure to check out our previous themes: sharks and back to school! 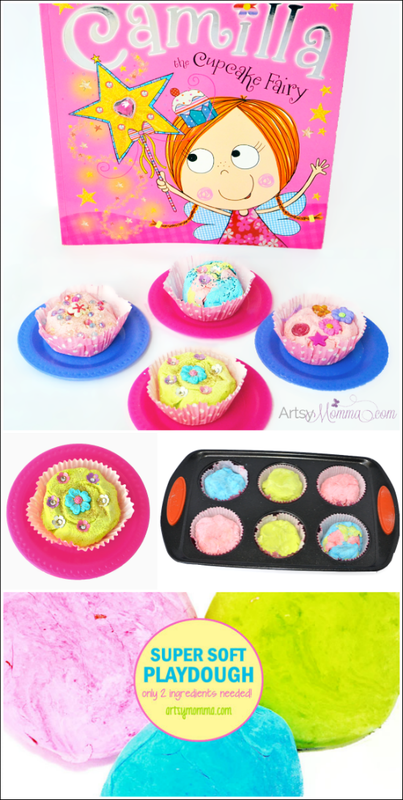 Besides this playdough cupcakes, you might enjoy making pretend chocolates or silly monsters using this same homemade craft recipe!